So often we hear fellow expats say ‘”I had such a great day out – I felt like I wasn’t ‘living in Luanda”‘… But this is Luanda. All of it. From the city to Mussulo to Cabo Ledo. And one of the huge benefits of being here is to get out there and see it all. If we can finish our assignment having seen more than just our immediate surroundings – then we will have been truly ‘living in Luanda’. Watch this video to get a feel! Take a small fishing boat from Capasoka Ferry Port to Mussulo and head to the Northern tip of the Peninsula where there are several shallow lagoons for a beach day. Bring shade, seating and your own food/grill for perfect day at the beach away from the hustle and bustle of Luanda city. Mussulo also has several lodges which you can visit for lunch/snacks/overnight stays if you prefer the luxury of beach beds and waiter service – Roça das Mangueiras and Ssulo Resort hotel being the most commonly frequented. Recently finished and made to represent the future of Angola (complete with imported Palm Trees from Miami) the Marginal offers a nice walk/run/roller blading/scootering track from point to point. Often the location of open air music concerts, exhibitions and parades (including the annual Half Marathon) there is always something happening down at the waters front. The Ilha is the thin strip of land that continues past the Marginal and 3km long stretch of road. Many of the construction/redevelopment is happening on the Ilha as homes are knocked down and replaced with high rise apartments and trendy bars/restaurants. The Museum is interesting and has the most spectacular panoramic view of the City, highlighting the rich, the poor, the old and the new sides of every changing Luanda. The museum has some good vehicle relics left over from the Civil War. The Mausoleum is located on the Chicala road that connects the Marginal with the road that goes South to Luanda Sul. It is a beautiful structure with manicured lawns, viewing stands for troop parades and other small buildings and looks extraordinary lit up at night. 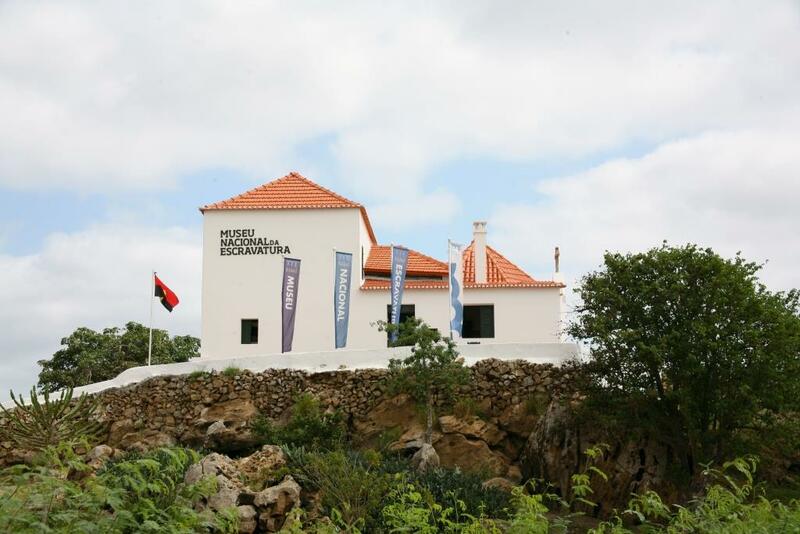 The museum is intended to highlight Angolan culture and is the final resting place of its first President and idol of the nation Agostinho Neto. The French funded the restoration of this museum which was a wealthy slave trader’s house. Many interesting artefacts and objects to view. The Natural History Museum in Luanda has on display a good selection of the animal species found in the region. The museum collection is spread over two floors. Downstairs there is a good selection of stuffed fish and also some whale bones. At the back of the exhibition hall there are dioramas with stuffed birds. Upstairs the focus is on mammals and on display is a variety of smaller and larger mammals, some stuffed and some as skeletons. Especially interesting are the displayed skeletons of a rhino, an elefant and a hippo next to each other. There is also a diorama showing the national animal (Giant Black Sable – Hippotragus niger variani). The upper exhibition hall also has a small display of rocks and minerals found in the country. The museum is located on the corner of Rua da Missao and Rua da Muxima (close to Kinaxixe). About 1.5 hours drive of the city can be found Sangana and Cabo Ledo beaches – both being great places to go at the weekend for a fun day at the beach. It is possible to stay here with Carpe Diem and Doce Mar (both at Cabo Ledo) being the most popular. There is also a restaurant at Sangana if you don’t fancy packing your cool box or just fancy a coffee. Just over the Kwanza river bridge – you will find Kissama National Park. There are no predators – but you should see elephant, giraffe, antelope. It is possible to stay here in the bungalows on site – contact numbers are 925314949 or 912502380. The Kwanza river is about an hour south of Luanda (traffic depending) and is a scenic spot – from where you can go for boat rides (crocodile viewing!) game fishing, or simply relax. There are two places you can visit – Mangais golf club or the Kwanza River Lodge. If you are visiting any of the places above, you will pass (on the coast side) a small stopping point – a view point to an unusual rock formation. It’s definitely worth stopping here and just taking a look and enjoying the view. The other thing you should stop for on any trip down this road towards Cabo Ledo is the fresh lobster sold by the side of the road. A perfect supper after a day at the beach! A relaxing place to stay north of the city (about an hour) with a lake – and renowed for its food. Read more about it here. Along the north coast of Luanda is an area known as Shipwreck Beach – where lots of old ships are lying abandoned. No-one is quite sure of the history, but it is interesting! Best viewed from the sea, be careful on the beach, it’s not the safest of beaches. 70km North of Luanda – a beach area called Barro do Dande. There is reportedly accommodation here – although we’ve not any experience of this. If you do – let us know! 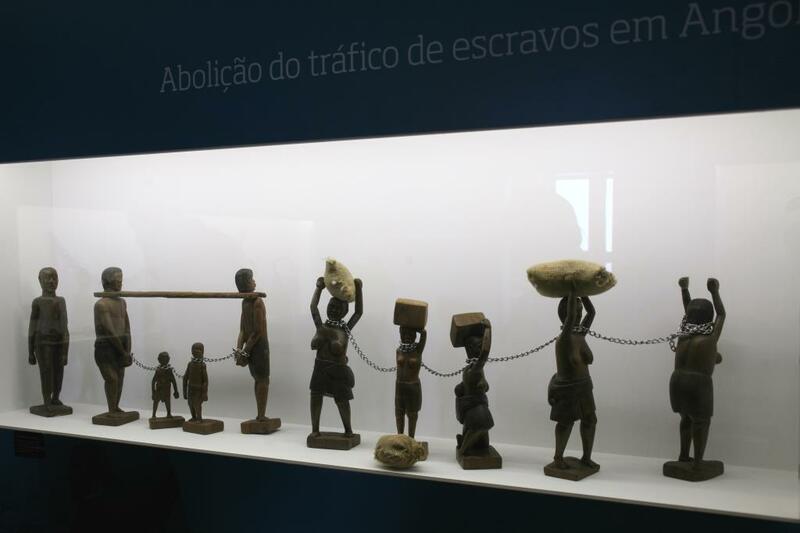 Depicting the history of slavery in Angola, the museum displays hundreds of items utilised in the slave trade. The museum adjoins the Capela da Casa Grande, a 17th Century structure where slaves were baptised before being put on slave ships for transport to the Americas. Amanda says – We travelled with Eco-Tur and cannot fault them for their professionalism and flexibility – and over the three nights that we stayed in Malanje we visited the Pedras Negras, Kalandula Falls and the Rapidos de Kwanza. But for me it wasn’t so much about the big name sights that we managed to tick off – but about the journey there and back. Travelling through different landscapes with the chance to see a little bit of rural Angola; watching the produce on the side of the road vary in line with the landscape and just seeing an Angola that is just not possible from the city. Pedras Negras – Located in the municipality of Cacuso, the Pedras Negras of Pungo Andongo are 116km from the city of Malanje. These stones are a strange rock formation millions of years old that rise above the surrounding savannah. According to tradition, the footprints carved into the rock are Dona Ana de Sousa or Queen Nzinga Mbandi Ngola (Queen Jinga). The Pungo-Andongo village located in the vicinity, which are also the ruins of the ancient fortress of Pungo-Andongo, built in 1671 by the Portuguese. Kalandula Falls – Depending on which source you check, the waterfalls on the river Lucala at Kalandula are either the second or third tallest in Africa. Irrespective of ranking, at 105m high and about 400m wide they are spectacular and well worth making the effort to visit them. For best effect, try to visit during the rainy season from September to April. Until recently the closest place to stay was Malanje, some 85km to the east, but a hotel has now opened in the nearby town of Kalandula. Mary recently visited the Slavery Museum. She says – It is only an hour from Luanda, very interesting if a little sad. It is open Wednesday through Sunday from I think around 9.30. I don’t think there is an entrance fee however we did give the young man who opened it up for us some money. I would advise anyone visiting to just wait around a little if it is closed and he will come along. He is really nice and very knowledgable about the museum and will give a tour. In Portuguese of course. Definitely worth a visit. Vicki says – If you are looking to learn a little about the history of Angola, I recommend visiting the Fortaleza de São Miguel, located in the city of Luanda, with a beautiful view of the Marginal. It was built in 1576, became the administrative center of Luanda during the early part of colonial rule and was a self-contained city for the early military garrison and an important holding place for slaves. Today it houses the Museum of the Armed Forces which was founded in 1975, following the independence of Angola. The museum includes bi-motor airplanes, combat vehicles, and a variety of arms and artifacts used during the Angolan War of Independence, the South African Border War and the Angolan Civil War. It’s not posted well, but there’s another part to the museum that is down a ramp and under the courtyard. Very interesting – and a good place to cool off. Another way to see the surrounding areas of Luanda is by joining the Angola Field Group. Check out this link for a recent trip of their’s to turtle beach. Trips are really popular so make sure you join the group for the best chance of getting involved.